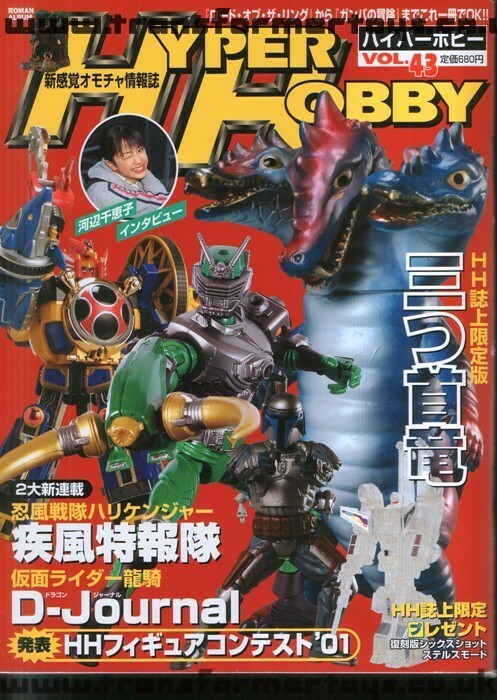 We bought a copy of Hyper Hobby Issue 43 from Nakano Broadway in Tokyo, from a Mandarake store, after spending almost an hour looking through the magazines. 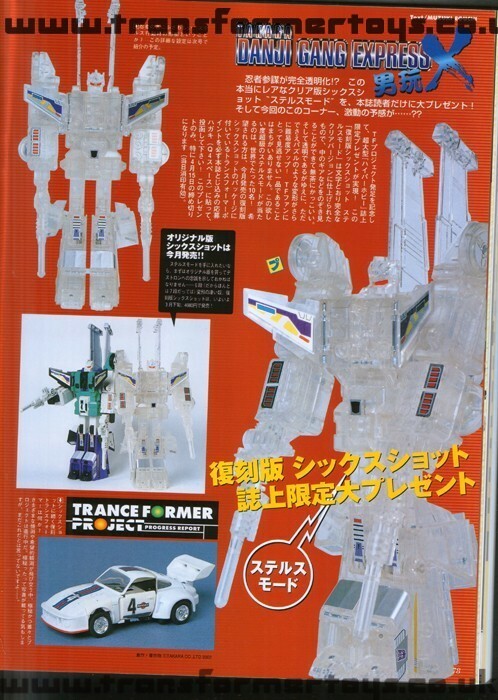 What is important about this issue of Hyper Hobby, and the sole reason for us purchasing the magazine, is that this was the issue in which the Clear Collectors Edition Sixshot Transformers toy was shown. We already owned the toy, but this was the first time we had seen the magazine article, and wanted to add the original magazines which held the draws to our collection. 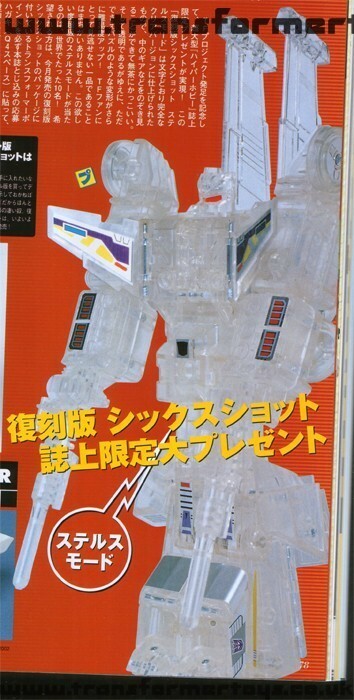 This would also act as proof of the toy's vality, as well as help identify numbers and when they were released. 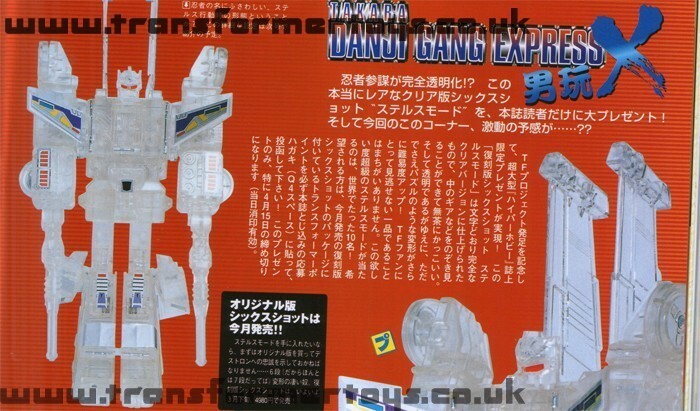 Unfortunatley the Sixshot article does not appear to mention any numbers, but we're hoping someon can translate for us.